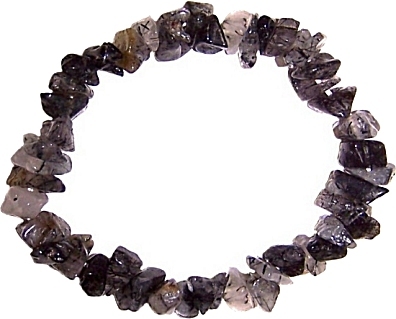 Clear quartz penetrated by black tourmaline crystals is often worn to stimulate astral projection. Tourmalinated Quartz symbolises the inevitability of new and seemingly opposite elements working together. It helps to produce a balance and harmony between contrasting or conflicting elements.